New Low Voltage Directive – What are the changes? 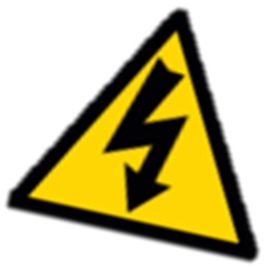 The Low Voltage Directive, now 2006/95/EC, has seen little change, other than its recodification from the previous number 73/23/EEC, since it became mandatory for most manufacturers of electrical equipment in 1996. However, as part of the measures initiated by the New Legislative Framework (NLF) in 2008, the Low Voltage Directive is one of a number of CE Marking Directives that have been revised with a view to aligning them with the common framework as defined in EU Decision No. 768/2008/EU. Subsequently, a NEW recast Low Voltage Directive 2014/35/EU was published in the Official Journal of the European Union on 29th March 2014. This new Directive came into force on the 18th April 2014, however, the current directive (2006/95/EC) will not be repealed until April 20th 2016 and until this 2016 date, manufacturers can continue to distribute products that comply with the current Directive. The new Directive certainly appears very different at first glance, the pdf. version expanding from 10 pages to 18, but upon closer examination much of these changes appear to be reformatting, rewording and reordering with some elaboration on certain requirements and terms. The actual changes, and how they are likely to affect manufacturers are relatively slight, and as such, changing to the new Directive should be fairly simple. The need to carry out sample testing on products, and, if necessary, keeping a register of complaints, of non-conforming electrical equipment and product recalls. Distributors should be informed of any such monitoring. Equipment should bear a type, batch or serial number, or other element, allowing its identification, unless this is not possible due to its size. Equipment must be accompanied by instructions and safety information in a language which can be easily understood by consumers and other end-users. Manufacturers who have reason to believe that their equipment is not in conformity with 2014/35/EU shall immediately take corrective measures, withdraw it or recall it, as appropriate. Furthermore, where there is a risk to consumers, the National Authorities must be made aware of the non-conformity and the measures being employed to resolve it. Importers shall ensure that the appropriate conformity assessment procedure has been carried out by the manufacturer, including compilation of the Technical File and the marking of the equipment with the CE mark. Importers shall indicate their name, registered trade name or registered trade mark and the postal address at which they can be contacted on the electrical equipment (unless that is not possible, in which case it should be included on the packaging or in an accompanying document). Importers shall ensure that the electrical equipment is accompanied by instructions and safety information in an appropriate language. Importers shall ensure that, while equipment is under their responsibility, its storage or transport conditions do not jeopardise its compliance with the safety objectives. Importers shall, where appropriate, carry out sample testing of equipment and, if necessary, keep a register of complaints, of non-conforming equipment and product recalls. Distributors are to be informed of any such monitoring. Importers shall keep a copy of the EU declaration of conformity (for 10 years) and must ensure that this and the technical documentation are made available to the market surveillance authorities. Lastly, a completely new addition in Articles 13 and 14 of 2014/35/EU include provision for acquiring a ‘Presumption of Conformity’ on the basis of complying with International and/or National standards where an appropriate European harmonised standard is not published in the Official Journal of the EU. Whilst the itemised minimum contents required for the technical file have not changed, and it is still a requirement that documentation shall cover, as far as relevant for the assessment, the design, manufacture and operation of the electrical equipment, sufficient to assess the electrical equipment’s conformity to the relevant requirements, it is now stated that the technical documentation shall include ‘an adequate analysis and assessment of the risk(s)’. The requirement to include the brand name or the trade mark on the electrical equipment or, where not possible, on the packaging, has been removed from the safety Objectives as still listed in Annex I, however, Article 6(6) of the Directive requires that manufacturers indicate their name, trade name, or trade mark, and the postal address at which they can be contacted on the electrical equipment, or, where that is not possible, on its packaging or in an accompanying document. A number can be assigned to the Declaration (this is optional). It should state: This declaration has been issued under the sole responsibility of the manufacturer. It should state: The object of the declaration is in conformity with the relevant Union harmonisation Legislation. Suitable identification of the product should be included, sufficient to allow product traceability (there is a suggestion that a colour image of the product could be employed). It is no longer required that the last two digits of the year in which the CE mark was affixed are included. And, of course, the new Directive number should be employed: 2014/35/EU.